Are you going to participate to this year’s Transport Research Arena? MOBILITY4EU partners are glad to invite you to join the TRA2018 session entitled ‘Mobility Planning’, chaired by Maria-Cristina Marolda from European Commission. 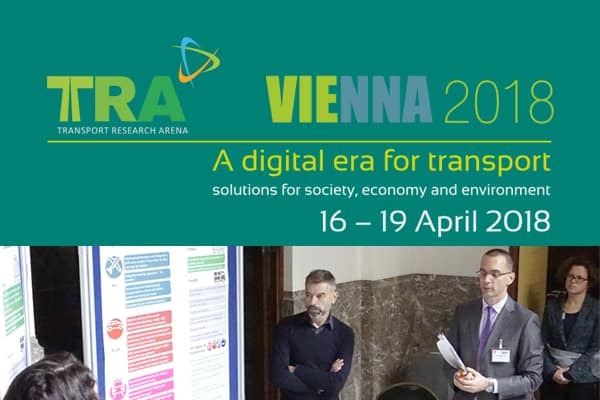 Imre Keseru, Thierry Coosemans, Elisavet Gagatsi and Cathy Macharis will present the “User-centric vision for mobility in 2030: Participatory evaluation of scenarios by the multi-actor multi-criteria analysis (MAMCA)” and introduce the MOBILITY4EU poster contents. The session will take place on Tuesday 17 April between 8:30 and 10:00. If you are interested, please click here for further info.